The HP LaserJet 3330 multifunction printer provides reliable HP LaserJet printing, convenient copying, colour scanning and faxing functions. With all these features the device improves productivity, save space and reduce costs. The HP LaserJet 3330 printer can help small business and home offices distribute and print documents effectively and efficiently, without sacrificing valuable office space. It also supports high capacity HP LaserJet 3330 toner cartridge which results in low printing cost. The machine might be bulky, but its overall design is subtle with two tone grey finish colour. Finished prints are fetched from the output tray situated between the control panel and the input tray. The maximum printing and copying resolution of this device is 1,200 x 1,200 dpi with the print speed up to 14 ppm. It has two trays, the input tray can hold up to 250 sheets of paper and output tray can store up to 125 sheets of paper. HP LaserJet 3330 can handle various media types such as card stock, labels, glossy paper, envelopes, matte paper, roll and transparencies. The fax memory can handle up to 275 pages with 33.6k being the maximum faxing transfer rate. The printer has a standard 32MB of RAM. The HP LaserJet 3330 is designed to print the documents easily with laser quality, that one expects from HP LaserJet product. This printer combines a monochrome laser printer, a colour scanner, a fax and extensive software utilities. HP LaserJet 3330 works best for small office and home users. The device bridges the gap between the traditional paper based and the digital office world. Apart from all these functionalities it also lacks various advanced features such as direct printing and mobile printing. High capacity HP LaserJet 3330 toner cartridges results in low running cost of the printer. How to fix the print quality issues in a HP LaserJet 3330 printer? If your printer is producing a repetitive mark at the same spot on the page, we would suggest you to install a new HP LaserJet 3330 toner cartridge. It can also be possible that the internal parts of the printer might have toner on them. Cleaning those areas can improve the quality of your printed documents. Over time, toner and dust particles accumulate inside the printer. This buildup can cause print quality problems, such as repetitive marks on the paper. To resolve this type of issue, you can clean the print cartridge area and the printer media path frequently. Once the process is completed, make a test print on the paper you inserted earlier. If still the printouts are not satisfactory, then we would recommend you to contact the HP support. 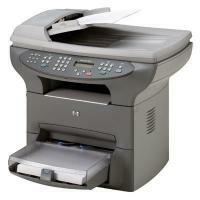 Q. I have been using compatible HP LaserJet 3330 toner cartridges (C7115X) to print text documents for my office. Do these cartridges print sharp and clear images as well? A. Yes, apart from text documents, these HP toner cartridges are adept at printing vivid, clear and high quality images and graphics that will suit your professional needs. Q. Are these compatible HP LaserJet 3330 toner cartridges that you sell on your site are of premium quality? What quality assurance tests have they been put through? A. These toner cartridges are premium quality and guaranteed to give optimal output and performance you expect to meet your printing needs. The components that it is composed of are ISO9001 / ISO14001 certified and FSC tested. We also offer 100% guarantee and money-back guarantee facility on purchase of these toner cartridges. Q. Do HP LaserJet 3330 toner cartridges (C7115X) go with HP Laserjet 1200 printers? Are there any other printers available with which these toner cartridges can be used? Q. My HP LaserJet 3330 toner cartridges is about to get exhausted in some time. A colleague advised me to take it out, shake it and install it back as by doing so I will be able to print a little more. Is that true, and is it safe to do that? A. Yes, it’s perfectly ok to take your toner cartridge out from the printer and shake it. Please do that briskly enough, for about 20 times so that the toner powder that is blocked inside comes undone by shaking it loose. At the same time, take care that the toner powder doesn’t leak out of the cartridge body while being shaken. Q. Is HP LaserJet 3330 is a monochrome or a colour printer? A. Th HP LaserJet 3330 printer is monochrome (black only). Q. The printed content on the document is very light or faded than expected. So how can I improve the print quality? Remove the HP LaserJet 3330 toner cartridge from your HP LaserJet 3330 printer, and then shake it to redistribute the toner properly. Make sure that the Economode setting is disabled both at the printer control panel and in the print driver(for mono models). Check if the HP LaserJet 3330 toner cartridge is installed properly in your printer. Print a Supply status page and check for life and usage of the cartridge. Replace the cartridge in your printer. If still, the problem persists, then please contact the customer support. Q. Does the HP LaserJet 3330 printer offer faxing capabilities? A. Yes. The HP LaserJet 3330 is a multifunctional device that also offers fax along with print, copy and scan capabilities. Q. I have recently installed a newly bought HP LaserJet 3330 toner cartridge in my printer. But the copy quality of an image or text is below than expected. How can I improve this? A. The issue is related to adjusting the copy quality. Please refer the section “Adjusting copy quality for the current job” in the user manual of your HP LaserJet 3330 printer. Q. I have high quality black and white printing needs as I have to use the printer regularly in my office. So will the HP LaserJet 3330 printer fulfil my expectations? A. Yes, definitely. With the HP LaserJet 3330 printer, the printing resolution is 1200 x 1200 dpi and you can get up to 10000 impressions per month. Also, the print speed is 15 pages per minute. This is a reliable and a perfectly suitable printer for your office to meet heavy printing needs.